PARIS -- Renault has made key changes to the executive ranks of its manufacturing, marketing and Eurasia operations. Gerard Leclercq will be the French automaker's new head of manufacturing and supply chain. Leclercq, 61, succeeds Michel Gornet in the post Dec. 1 when Gornet, 63, retires. Leclercq joined Renault in 1989. He was head of Renault's Flins, France, plant in 1991 and became vice president for powertrain manufacturing in 1999 and was promoted to head of human resources in 2007. Leclercq gets top manufacturing role. Marie-Francoise Damesin, 53, takes Leclercq's role as head of human resources, moving from her current post as senior vice president of communications. Damesin has held various management posts in operations, sales and marketing, and human resources after joining Renault in 1984. Leclercq and Damesin report to Patrick Pelata, Renault's chief operating officer. Stephen Norman has taken on the newly created role of chief marketing and communications officer. Norman, 56, was previously senior vice president of global marketing, a role he took in 2007 after serving as global marketing director for Fiat brand. During his career, Norman also has worked for Rover Group in England and Volkswagen in France. Frederique Le Greves, 43, was appointed as Norman's deputy. She had been vice president of corporate information since 2008 after earlier working as head of corporate communications for Nissan Europe and then Nissan North America. She began her career with Opel France in 1991 and later was European communications director for U.S. supplier Delphi. 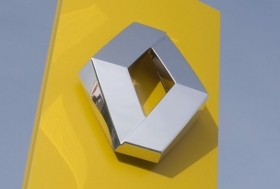 Norman and Le Greves' mission is to improve Renault's brand value through marketing, communications and digital media channels, Renault said. Bruno Ancelin, 53, Renault-Nissan alliance managing director for global sourcing, was appointed managing director of Renault's Russian operations and leader of the Eurasia Region. He succeeds Christian Esteve, 61, who has retired. Both changes became effective Oct. 1. Ancelin will maintain his current responsibilities and report to Pelata. 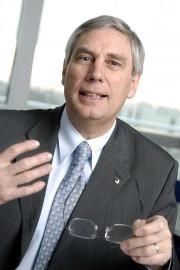 After joining Renault's research department in 1982, Ancelin served in various management roles including industrial strategy manager for Renault's manufacturing technologies operations, deputy director in charge of manufacturing at Renault's Flins plant and program director for the Megane, Scenic and Koleos.